With the increase in mobility and the growth of distributed teams, it’s essential that you select audio devices that offer the best flexibility, quality and reach needed to support collaboration anywhere on any device. 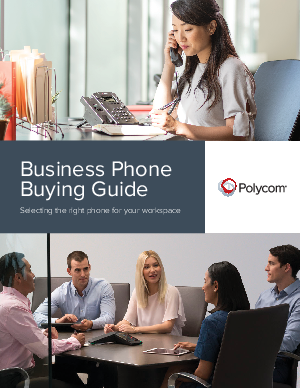 To meet these requirements, Polycom offers a broad selection of easy-to-use, high-quality desk phones, conference phones, and applications. The phones support crystal-clear conversations and seamlessly integrate with a wide range of communication environments including open-SIP and Skype for Business and Office 365.